Check out the new orange version of the X-Maxx, in stock now! We’ve filled all our pre-orders and finally have some Rustler 4x4 VXL models on the shelf. Stop in soon, because they probably won’t last long! 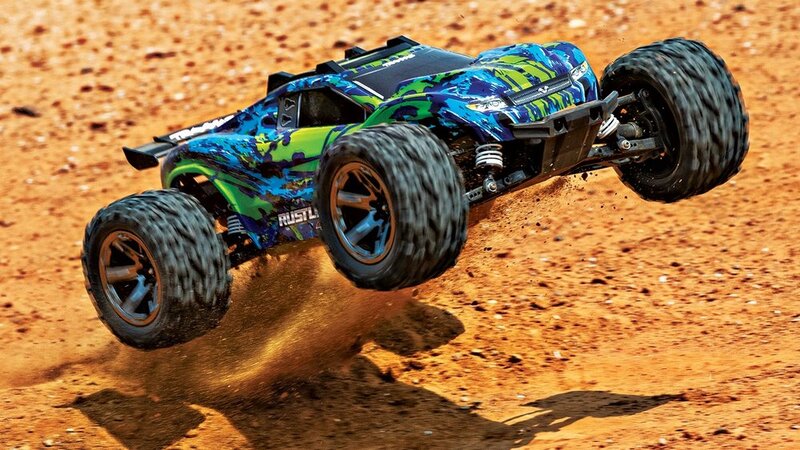 Traxxas Brushed Rustler 4x4 In Stock! Traxxas’ newest speed demon has hit the shelves! The brushed version of the Rustler 4x4 comes with a rechargeable battery and DC charger — just add four AA batteries and hit the streets! While we’re still working through our pre-orders on the VXL version, you can take home the brushed version today! The Rustler 4x4 runs $299.99. Pick up yours today! When Parma was dropped by basically every hobby vendor, one of the biggest things we lost was their popular clear servo tape. It came off clean and without residue, something many people liked, but especially those that often switched electronics from one vehicle to another. Thankfully, Racer’s Edge picked up the tape, and now we have it back in stock. The roll sells for $7, and is well worth the cost. In other news, anyone that’s used allen wrenches for more than ten seconds can tell you how much of a pain they are, but many people still use the wrenches that come included with their ready-to-run vehicles because the nice, aluminum handled wrenches are too expensive, so we were quite pleased to find Racer’s Edge has a high-quality, yet inexpensive, metric wrench set. The set runs just $19.99 and comes with 1.5MM, 2.0MM, and 2.5MM — the standard sizes for most R/C cars and trucks today. The tips are even replaceable! Both the servo tape and the wrench sets are in stock now!